According to a report on Health Digest, I can shockingly but not surprisingly reveal to you that “Every person has cancer cells in the body. These cancer cells do not show up in the standard tests until they have multiplied to a few billion. When doctors tell cancer patients that there are no more cancer cells in their bodies after treatment, it just means the tests are unable to detect the cancer cells because they have not reached the detectable size”. A. TOO MUCH MIILK: Milk causes the body to produce mucus, especially in the gastro-intestinal tract. Cancer feeds on mucus. So start by cutting off milk and substituting it with unsweetened soy milk, cancer cells will be starved. B. meat-based diet is acidic and it is best to eat fish, and a little chicken rather than beef or pork. Meat also contains livestock antibiotics, growth hormones and parasites, which are all harmful, especially to people with cancer. 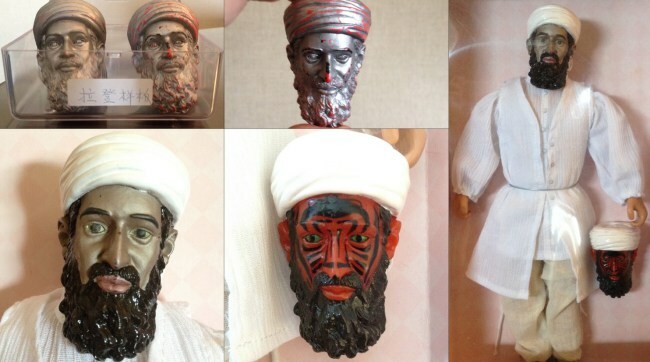 According to Metro news, it has has emerged that the American CIA secretly developed an Osama bin Laden action figure in the hope that it would scare children away from al-Qaeda influence. The figurine, code-named ‘Devil Eyes’, would be made of a heat-dissolving material that, when peeled off, would reveal a demon-like bin Laden, with facial markings and green eyes, reports the Washington Post. 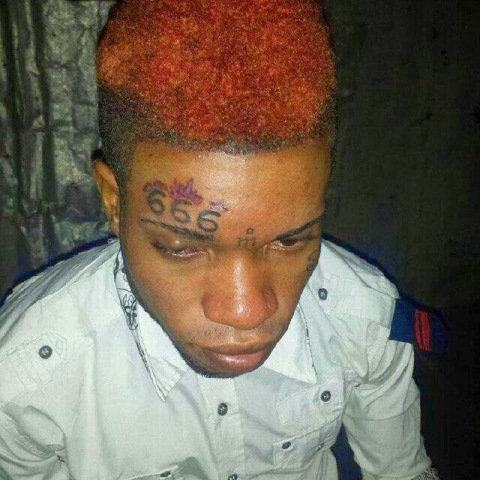 He is got the mark of the beast…is this a sign of end time or stupidity? Hilarious! 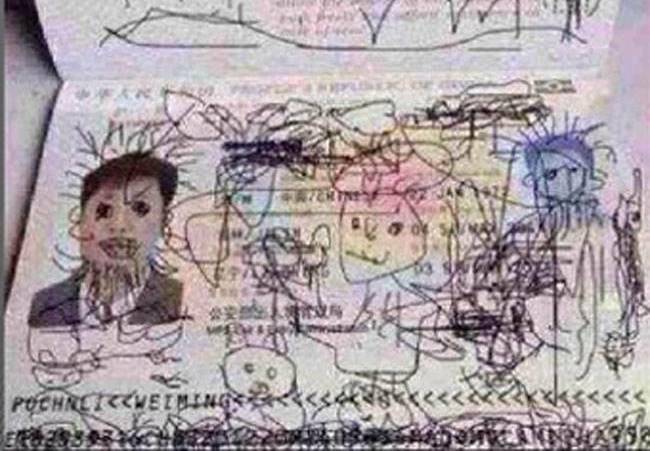 A four-year-old boy landed his dad in trouble after he designed dad’s passport with his artistic skills. The little boy did justice to his dad’s passport during a recent family trip to South Korea, where he took to the back page of his dad’s Chinese passport with a black pen and drew some really nice pictures of people, animals, and also added nice hair to his dad’s face. Trouble began when his Dad got stuck in South Korea because of his unrecognisable documentation, and authorities have warned it is likely he won’t be able to travel home with his son, and the rest of his family. 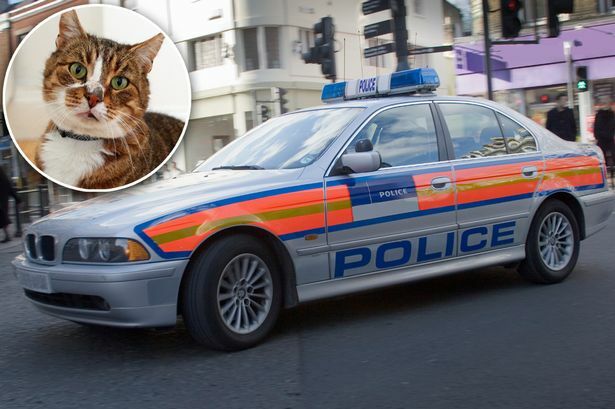 The original picture alongside a plea for help. was posted on social networking site called Weibo by the father, who is known only as Chen. Man Beats 12 yr Old Relative To Death, While Another Beat Son To Death, Both For stealing N1,000. We often criticise the oyibos for imposing the law that children should not be hit by their parents or guardians. 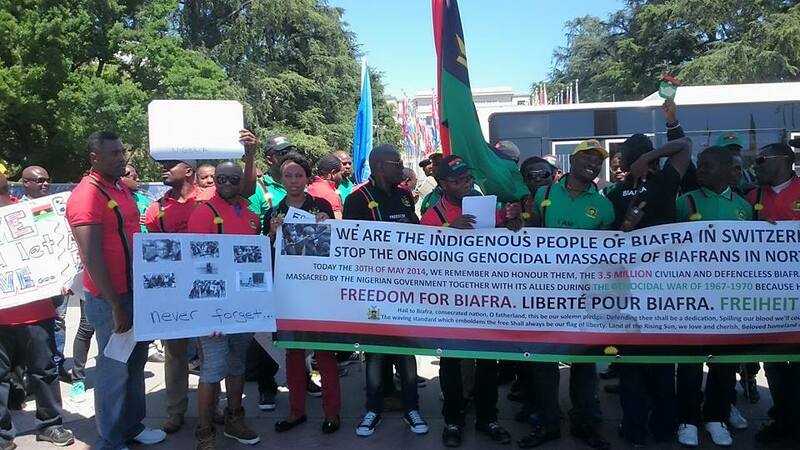 In just one week, 3 children have died in Nigeria for alleged stealing and 2 of the kids accused of stealing #1,000? And then it cost them their lives by cruel people who were meant to protect them? This is just poverty mentality…people are too poor that they kill their kids for mere food and little money. Gosh!!! What is the best strategy to eradicate poverty in NIGERIA?….I bet it’s time for tougher sanctions to be put in place for child murderers. These idiots need to learn that you can punish a child without hitting them. Don’t beat a child in anger cos you might end up harming them and even kill them. hock and disbelief could best describe the expression on the faces of residents of Omitola street in Agege area of Lagos, when Saturday Vanguard visited Thursday , to ascertain the circumstance that led to the death of a 12-year-old boy.